March 2011 through January 2013. Original Release Date: March 2011. The most common cause of HFS is mechanical compression of the ipsilateral facial nerve at its root exit zone (REZ) in the posterior fossa (Figure 1). This compression results in spontaneous (ectopic) generation of a neural impulse and lateral spread of excitation to nearby nerve fibers (ephaptic transmission), all without the mediation of a neurotransmitter.2, 3 In its earliest stages, HFS involves mainly the orbicularis oris muscle, but with chronicity there is gradual recruitment of other areas of the face supplied by the seventh nerve. Symptoms are often exacerbated by stress, anxiety, and fatigue. Voluntary facial movements may also intensify the symptoms. Relaxation and alcohol are reported as the most common alleviating factors, but symptoms often persist during sleep.2 In its extreme form, HFS may interfere with social function, job performance, driving, and personal safety. Figure 3. 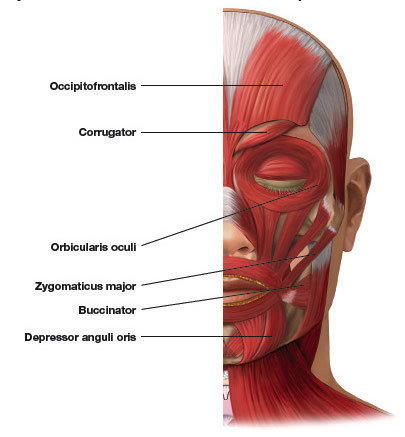 Common botulinum toxin injection sites for management of hemifacial spasm. 1. Palacios E, Breaux J, Alvernia JE. Hemifacial spasm. Ear Nose Throat J 2008;87(7): 368-70. 2. Wang A, Jankovic J. Hemifacial spasm: clinical findings and treatment. Muscle Nerve 1998;21(12): 1740-7. 3. Felicio AC, de Godeiro C, Jr., Borges V, de Azevedo Silva SM, Ferraz HB. Young onset Hemifacial Spasm in patients with Chiari type I malformation. Parkinsonism Relat Disord 2008;14(1): 66-8. 4. Auger RG, Whisnant JP. Hemifacial spasm in Rochester and Olmsted County, Minnesota, 1960 to 1984. Arch Neurol 1990;47(11): 1233-4. 5. Tan NC, Chan LL, Tan EK. Hemifacial spasm and involuntary facial movements. QJM 2002;95(8): 493-500. 6. Coad JE, Wirtschafter JD, Haines SJ, Heros RC, Perrone T. Familial hemifacial spasm associated with arterial compression of the facial nerve. Case report. J Neurosurg 1991;74(2): 290-6. 7. Lagalla G, Logullo F, Di Bella P, Haghighipour R, Provinciali L. Familial hemifacial spasm and determinants of late onset. Neurol Sci 2010;31(1): 17-22. 8. Micheli F, Scorticati MC, Gatto E, Cersosimo G, Adi J. Familial hemifacial spasm. Mov Disord 1994;9(3): 330-2. 9. Carter JB, Patrinely JR, Jankovic J, McCrary JA, 3rd, Boniuk M. Familial hemifacial spasm. Arch Ophthalmol 1990;108(2): 249-50. 10. Friedman A, Jamrozik Z, Bojakowski J. Familial hemifacial spasm. Mov Disord 1989;4(3): 213-8. 11. 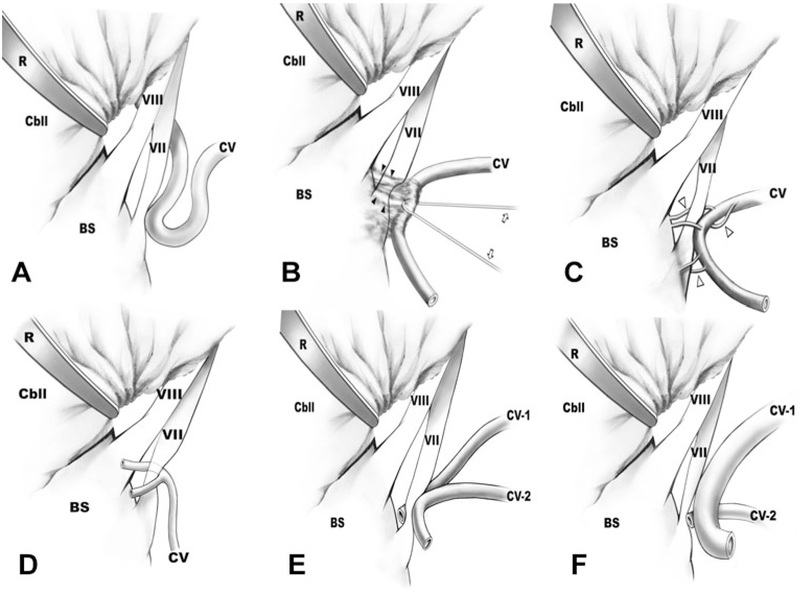 Hyun SJ, Kong DS, Park K. Microvascular decompression for treating hemifacial spasm: lessons learned from a prospective study of 1,174 operations. Neurosurg Rev 2010;33(3): 325-34; discussion 34. 12. Payner TD, Tew JM, Jr. Recurrence of hemifacial spasm after microvascular decompression. Neurosurgery 1996;38(4): 686-90; discussion 90-1. 13. Dannenbaum M, Lega BC, Suki D, Harper RL, Yoshor D. Microvascular decompression for hemifacial spasm: long-term results from 114 operations performed without neurophysiological monitoring. J Neurosurg 2008;109(3): 410-5. 14. Frei K, Truong DD, Dressler D. Botulinum toxin therapy of hemifacial spasm: comparing different therapeutic preparations. Eur J Neurol 2006;13 Suppl 1: 30-5. Aspects of Botulinum Toxin. Philadelphia: Lippincott Williams & Wilkins, 2002:197-205. 15. Costa J, Espirito-Santo C, Borges A, et al. Botulinum toxin type A therapy for hemifacial spasm. Cochrane Database Syst Rev 2005(1): CD004899. 16. Jitpimolmard S, Tiamkao S, Laopaiboon M. Long term results of botulinum toxin type A (Dysport) in the treatment of hemifacial spasm: a report of 175 cases. J Neurol Neurosurg Psychiatry 1998;64(6): 751-7. 17. Simpson DM, Blitzer A, Brashear A, et al. Assessment: Botulinum neurotoxin for the treatment of movement disorders (an evidence-based review): report of the Therapeutics and Technology Assessment Subcommittee of the American Academy of Neurology. Neurology 2008;70(19): 1699-706. Painful legs and moving toes syndrome (PLMTS) is an enigmatic, rare condition in which the patient presents with involuntary writhing, clawing, or fanning movements of the toes associated with painful legs. First described in 1971, identification of subsequent cases has allowed for modification of the description to include variants presenting without any pain at all.1, 2 There is also a similar syndrome in the upper extremity with painful arms and moving fingers. Pain management is the key focus; patients without pain usually do not need treatment. Commonly prescribed interventions have included gabapentin, nortriptyline, amitriptyline, analgesic patches, quinine, hydrocodone, acetaminophen, ibuprofen, baclofen, diazepam, carbamazepine, epidural transcutaneous stimulation, and BoNT.1, 3 Case reports describing the effect of BoNT note improvement in pain symptoms as well as lessening of involuntary movement; the mechanism by which BoNT interferes with nociception is unclear.4, 5 Successful response to BoNT, however, is not common. 1. Alvarez MV, Driver-Dunckley EE, Caviness JN, Adler CH, Evidente VG. Case series of painful legs and moving toes: clinical and electrophysiologic observations. Mov Disord 2008;23(14): 2062-6. 2. Spillane JD, Nathan PW, Kelly RE, Marsden CD. Painful legs and moving toes. Brain 1971;94(3): 541-56. 3. Dressler D, Thompson PD, Gledhill RF, Marsden CD. The syndrome of painful legs and moving toes. Mov Disord 1994;9(1): 13-21. 4. Eisa M, Singer C, Sengun C, Russel A, Jabbari B, Papapetropoulos S. Treatment of painful limbs/moving extremities with botulinum toxin type A injections. Eur Neurol 2008;60(2): 104-6. 5.Schoffer K. Painful leg moving toes treated with botulinum toxin type A: a video report. Mov Disord 2010;25(6): 776-7.